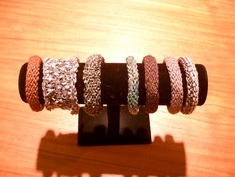 Add a little sparkle to the holidays. This is a great gift for all ages. With a few beads and some fancy ribbon yarn you can whip up a bunch of these in no time. Here is a new spin on the Ear Warmer trend. Make one for all your friends! 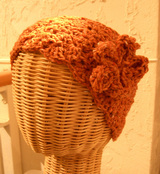 With worsted weight yarn and a few easy stitches you will have them done in a flash. Over-sized, rustic, chunky yet elegant and multifunctional. 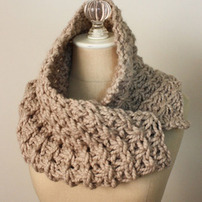 Wear it as a cowl, neck warmer, capelet or shoulder warmer. Asterisque looks so rich and complex - don't tell anyone how easy it was to knit!